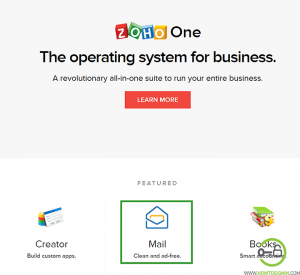 You are here: Home / Email / Zoho Mail / How to create Zoho mail for free? How to create Zoho mail for free? Zoho is a business software development companies that offer range of products and services like, IOT management, Zoho office suite, Customer Relationship Management, Web-hosting and many more. 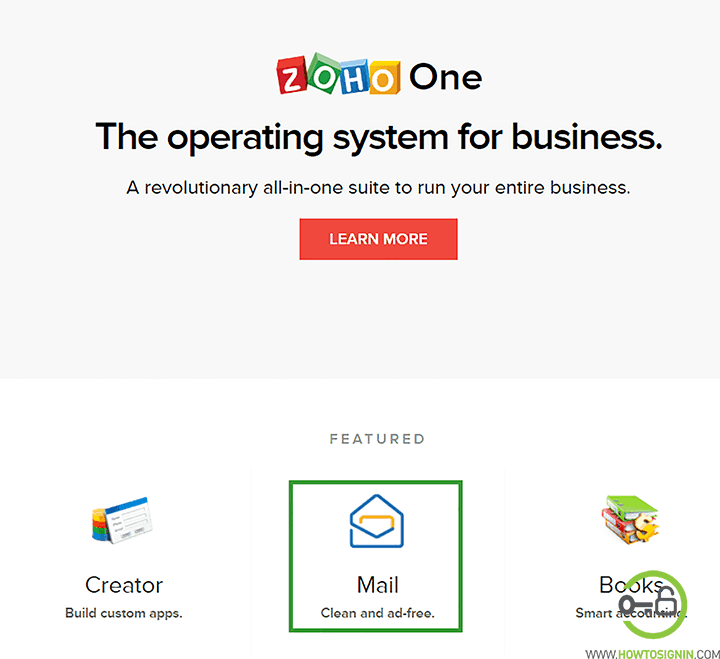 In addition to this Zoho is also providing email service; paid business email and free personal email. 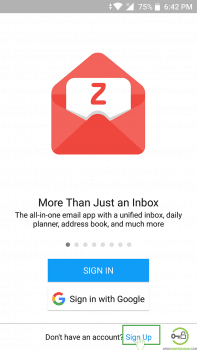 The benefits of using personal email service of Zoho are: 5 GB of email storage with paid expandable option, Ad free email platform, can be accessed through POP and IMAP. In this article we are going to discuss on how we can create Zoho mail for free. So, let’s get started. 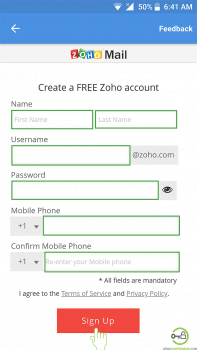 Create Free Zoho Mail Account using web-browser? Navigate zoho.com from any web browser you prefer. Click on Mail icon at the bottom of the page under featured heading. Now click on “Personal E-mail” under the heading “Get Started with ad-free email”. Type the email id you wish to have but remember that it should be unique. Now insert the password for your Zoho mail. The password should be easy for you to remember and strong enough for others to guess. To make a strong password you’d better keep it long enough and combination of alphabet, numeric and symbols. Input your mobile number but before that don’t forget to select your country code from the drop-down list. Then, click on “Sign up for free”. A verification code will be sent to the mobile number you have entered. Insert the verification code and then click on “Verify my mobile”. If the verification code is not received or the verification code is not accepted, click on “Resend code”. It will take a while to load the email and finally you will be able to start using Zoho mail to send and receive email. 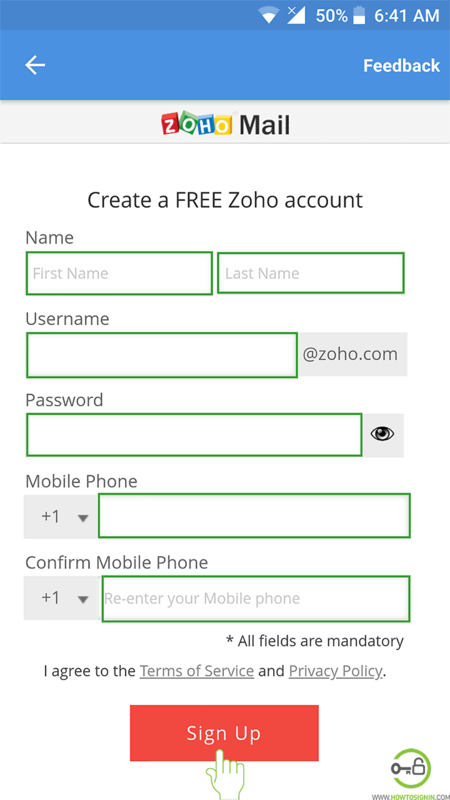 Create Zoho Mail Account using Mobile Application? Go to the menu of your Smartphone and tap the Zoho mail application. 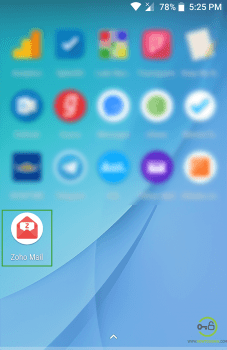 If you don’t have application for Zoho mail you can get it for free from Play Store for Android user and from Apple Store for iOS user. 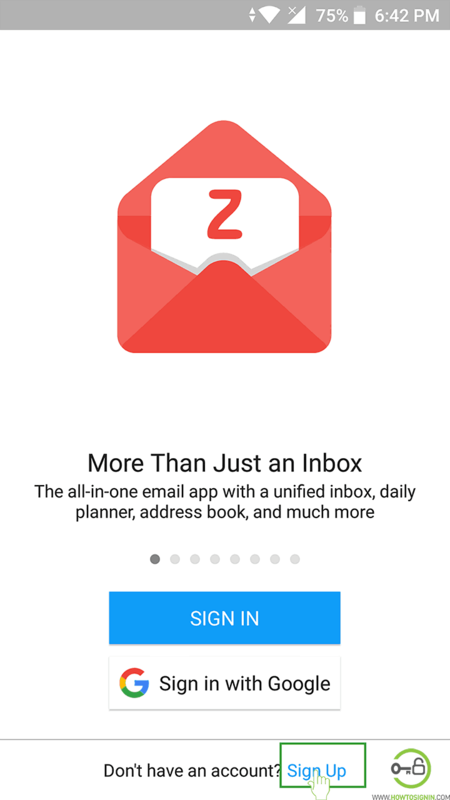 At the bottom of the screen tap on “Sign-up”. Type username that you want to keep as your email id. But keep in mind that username should be unique i.e. it should not have been taken by anyone else as username of Zoho account. Create new password for the account. Enter your mobile number and confirm it. After inserting all the information tap on “Sign up”. Verify your mobile number by typing the code received in the mobile number you have provided. Now your new Zoho mail account is ready to use.